Coherent neutrino-nucleus scattering: signal or background? The next generation of dark matter direct detection experiments will be sensitive to coherent nuclear scattering of solar neutrinos. This presents an irreducible background to dark matter searches, the so called 'neutrino floor'. However, this effect that has yet to be observed and so provides an opportunity for discovery. Dedicated experiments are racing to observe this effect and use it as a probe of new physics. In this talk I will discuss the neutrino floor and present some dark matter models where the prospects for discovery are not so grim. Then I will introduce the MINER experiment, a Texas A&M effort to observe coherent neutrino-nucleus scattering, and present its sensitivity to models of new physics. Axions are attractive candidates for theories of large-field inflation that are capable of generating observable primordial gravitational wave backgrounds. These fields enjoy shift-symmetries that protect their role as inflatons from being spoiled by coupling to unknown UV physics. This symmetry also restricts the couplings of these axion fields to other matter fields. At lowest order, the only allowed interactions are derivative couplings to gauge fields and fermions. These derivative couplings lead to the biased production of fermion and gauge-boson helicity states during and after inflation. I will describe some recent work on preheating in axion-inflation models that are derivatively coupled to Abelian gauge-fields and fermion axial-currents. For an axion coupled to U(1) gauge fields it was found that preheating is efficient for a wide range of parameters. In certain cases the inflaton is seen to transfer all its energy to the gauge fields within a few oscillations. 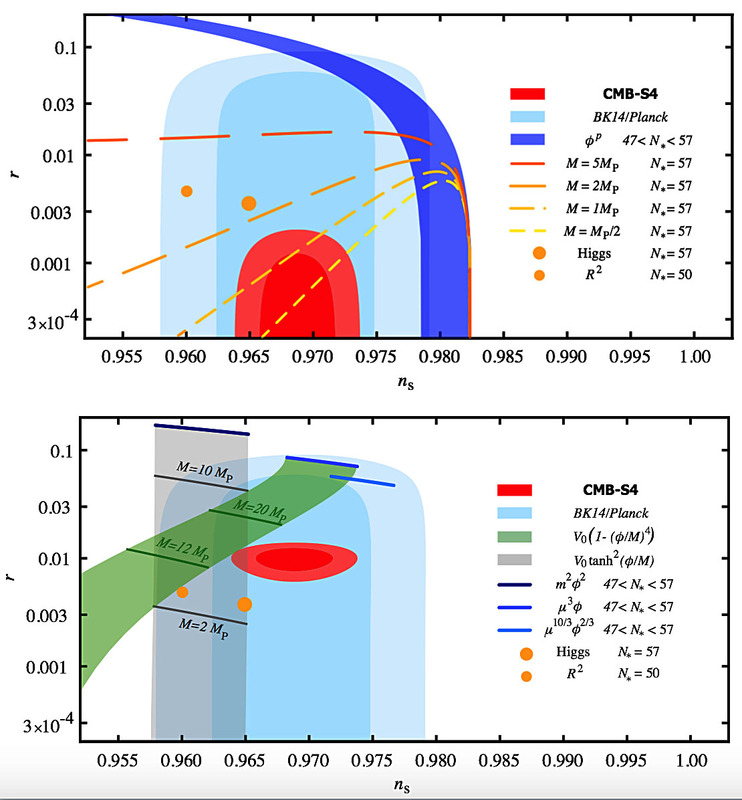 Identifying the gauge field as the hypercharge sector of the Standard Model can lead to the generation of cosmologically relevant magnetic fields. 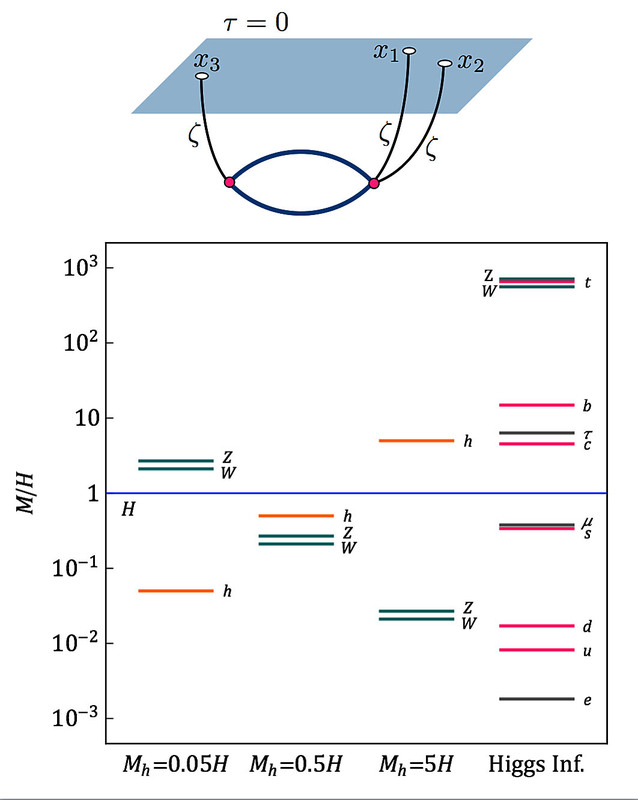 Coupling the inflaton-axion to Majorana fermions leads to the biased production of fermion helicity-states which can have interesting phenomenological implications for leptogenesis. Observations of galaxy clusters not only test the basic parameters of the Lambda-CDM universe, but also test new physics such as non-zero neutrino masses, evolving dark energy, and departures from General Relativity on large scales. In this talk, I will first motivate why clusters are so useful for cosmology and why we are confident that these measurements are robust. In particular, I will describe how gravitational lensing measurements have been essential to cosmological constraints with the Weighing the Giants project, which reported a 12% constraint on Omega_m and a 15% constraint on a constant dark energy equation of state (when assuming flatness) from cluster data alone. While currently competitive, control of systematic uncertainties in weak lensing measurements need to improve by an order of magnitude to fully realize the potential of cluster cosmology with Stage-IV dark energy experiments that are turning on in the coming decade. I will detail some of the ongoing work within the South Pole Telescope and Dark Energy Science collaborations that is moving us towards the 1% systematics level, and highlight some of the interesting challenges yet to be solved. One of the great puzzles related to the ΛCDM model is the nature of the dark matter (DM) component. In standard cosmology, hot, thermal relics are identified with the three light, active neutrinos which are sub-eV elementary particles which, apart from gravity, only interact via weak interactions. From neutrino oscillation experiments we know that neutrinos have masses but they are not sensitive to the absolute neutrino mass scale. Cosmology provides an independent tool to tackle the absolute scale of neutrino and to study its properties. In this talk I will illustrate the implications of neutrino properties on cosmological observables, in particular on the Cosmic Microwave Background radiation and on Large Scale Structure, and I will explore the current constraints on neutrino masses focusing also on the dependence of the cosmological limits on the total neutrino mass under the assumption of different mass spectra. Despite being associated with particles of zero rest mass, electromagnetic and gravitational waves do not travel solely on the null cone in generic curved spacetimes. (That is, light does not always propagate on the light cone.) This inside-the-null-cone propagation of waves is known as the tail effect, and finding novel ways of understanding it in the strong field regime near a black hole may find applications for modeling the gravitational signals sought after by next-generation space-based detectors such as LISA. Motivated by these considerations -- and as a first step -- I have been exploring techniques to understand the causal structure of scalar, electromagnetic and gravitational waves in cosmological spacetimes. I will describe my efforts to date, which include how the gravitational wave memory effects in 4D asymptotically flat spacetime generalize to the cosmological case. Primordial non-Gaussianities record interactions of fields in the early universe, which can be viewed as collision events in a "Cosmological Collider" with huge energy. In this talk, I shall introduce the workings of the Cosmological Collider as an explorer of new physics at very high scales, and describe the Standard Model spectrum during inflation and its "background signals" in Cosmological Collider. The nontrivial quantum correction during inflation plays a crucial role in this process, which I shall describe in detail. 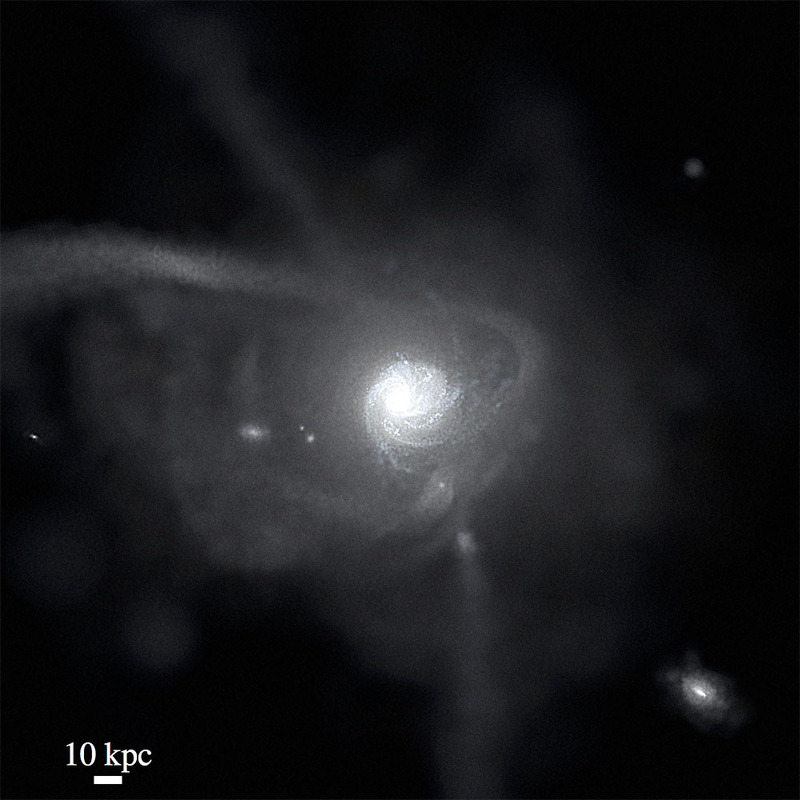 Low-mass 'dwarf' galaxies trace structure formation on the smallest cosmological scales and represent the most significant challenges to the cold dark matter (CDM) model. I will introduce the Latte simulations, a new suite of cosmological zoom-in baryonic simulations that model the formation of Milky Way-like galaxies at parsec-scale resolution, using the FIRE (Feedback in Realistic Environments) model for star formation and feedback. Using these simulations, I will discuss the roles of cosmic accretion and stellar feedback in driving the formation and structure of disk galaxies like the Milky Way. These simulations also self-consistently resolve the satellite dwarf galaxies that form around each host. 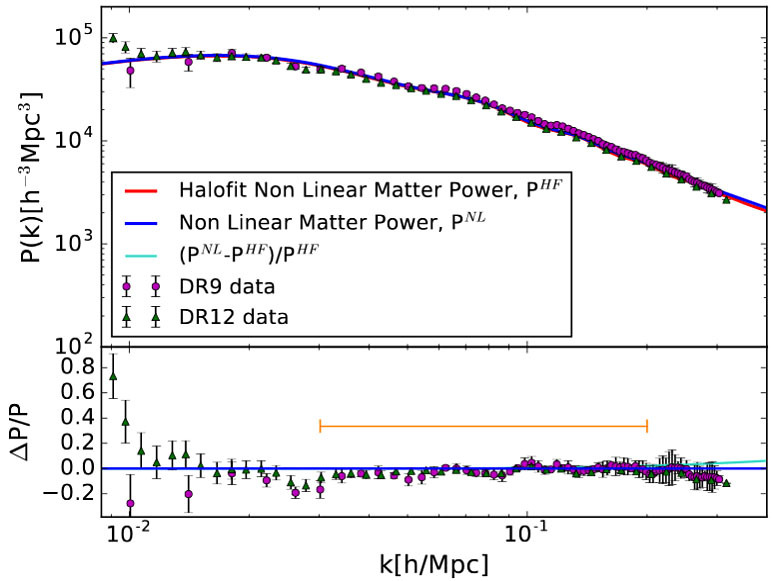 I will discuss the impact of stellar feedback and MW-like environments on dark-matter subhalos and their connection to dwarf galaxies, demonstrating progress in addressing the 'missing satellites' and 'too-big-to-fail' problems of LCDM cosmology. I will describe the development of a new class of force sensors based on optically levitated dielectric microspheres in high vacuum, which allow the detection of sub-attonewton forces acting on micron sized objects. 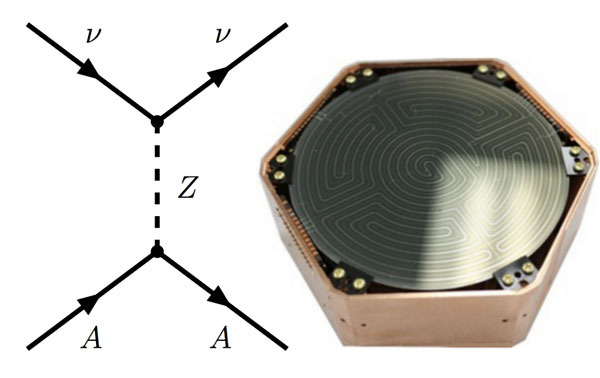 These force sensors can enable novel precision searches for new physics through the detection of weakly coupled or short range (<< 1 mm) interactions. Results from the initial application of these force sensors to search for millicharged dark matter particles bound in matter, and for interactions arising in certain screened scalar dark energy models, will be presented. Finally, I will discuss the expected sensitivity of these techniques to search for non-Newtonian or non-Coulombic forces at micron length scales, which can probe a variety of models of physics beyond the Standard Model. 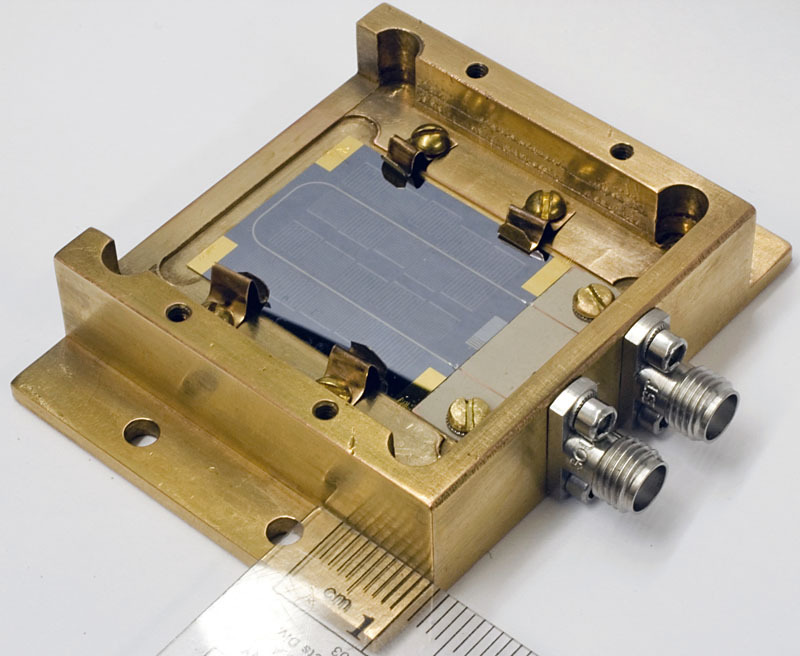 Kinetic inductance detectors (KIDs) are a promising detector technology across a broad range of wavelengths from mm-waves up to the soft X-ray regime. KIDs offer relatively simple, relatively inexpensive fabrication and straightforward passive frequency-domain multiplexing, which makes them an attractive solution for instruments requiring very high pixel-count arrays, including upcoming CMB polarimetry instruments. In this talk, I will describe a recent effort to produce a prototype array of direct-absorbing lumped element KIDs designed for CMB polarimetry at 100 GHz (3 mm) with the QUBIC telescope, including a discussion of design considerations, material development, and measured array performance. A promising signature of cosmic inflation is the presence of a "B-mode" component in the polarization of the Cosmic Microwave Background (CMB) induced by primordial gravitational waves. For many inflation models, this B-mode signal is predicted to be at a level detectable in the near future. However current searches are limited by a "lensing B-mode" component that is produced by gravitationally lensing primordial E modes. In order to potentially detect the inflationary signal from B-mode measurements, lensing B modes must be characterized and removed in a process referred to as "delensing." This process has been studied extensively theoretically and with simulations, but has not been performed on polarization data. In this talk, I will present a demonstration of CMB B-mode delensing using polarization data from the South Pole Telescope polarimeter, SPTpol. Furthermore, using realistic simulations that include filtering and realistic CMB noise, we will show what is currently limiting the delensing efficiency and how it will rapidly improve in the near future. 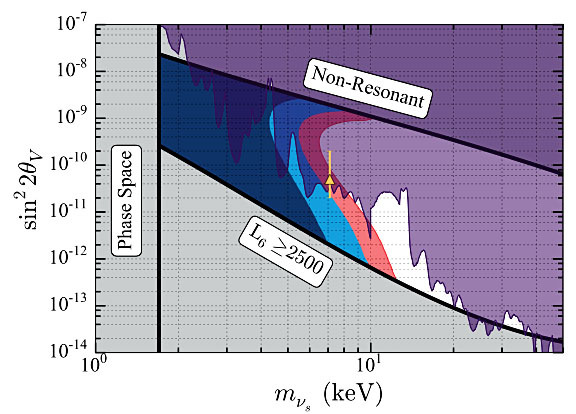 The interactions of ultra-high-energy cosmic rays with the Cosmic Microwave Background are expected to produce a flux of EeV-scale neutrinos through the GZK process. Successful detection of these cosmogenic neutrinos would help elucidate the sources of the highest-energy cosmic rays and probe the standard model in a new regime. Due to the low predicted flux and small interaction cross-section, an enormous detector is required for successful measurement. 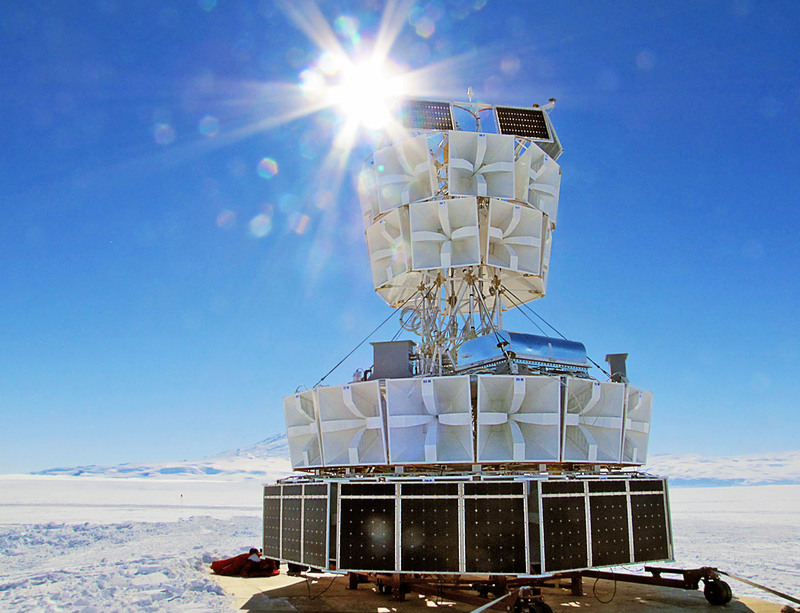 The Antarctic Impulse Transient Antenna (ANITA) long-duration balloon payload scans the Antarctic ice sheet for radio emission produced by the interactions of cosmogenic neutrinos in ice. At altitude, ANITA instantaneously instruments a volume on the order of 10^6 km^3. This talk will provide an overview of the ANITA detection technique, instrumentation, analysis methods, and results so far. I will focus on the recent fourth flight of ANITA, completed in December, as well as a strange event detected in the first ANITA flight that is potentially of neutrino origin. Efforts to observe interactions between galactic dark matter and laboratory test particles are undergoing a transition, broadening out from the standard WIMP hypothesis. Some models newly attracting attention inhabit the keV-MeV mass range. 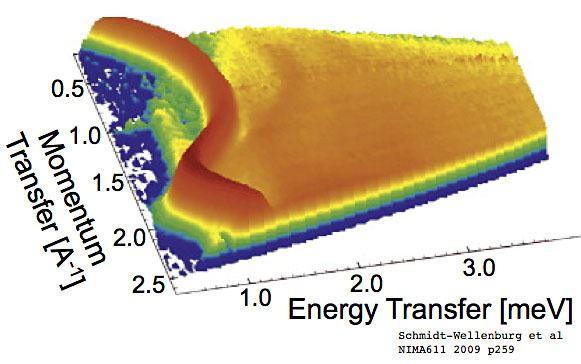 The dominant practical challenge in probing this light mass range is the development of detector technologies sensitive to sub-eV energy depositions. 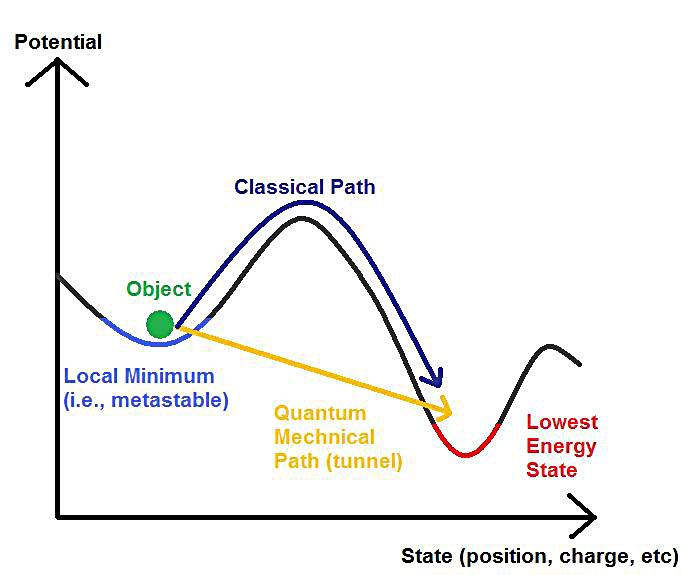 I'll describe both the general challenge of this low-energy regime and also one possible technological path forward, employing meV-scale kinetic excitations of the superfluid state. We discuss a new alternative to the Weakly Interacting Massive Particle (WIMP) paradigm for dark matter. Rather than being determined by thermal freeze-out, the dark matter abundance in this scenario is set by dark matter decay, which is allowed for a limited amount of time just before the electroweak phase transition. We discuss a concrete model which exhibits a ``vev flip-flop'' and show that it is phenomenologically successful in the most interesting regions of its parameter space. We comment on detection prospects, primarily at the LHC. 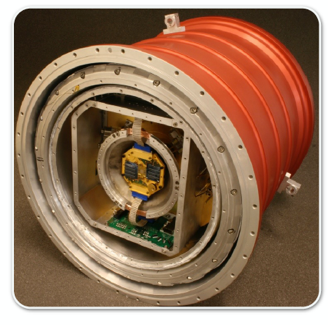 The Micro-X sounding rocket uses a Transition Edge Sensor (TES) array to make X-ray observations. The improved energy resolution of TESs compared to traditional space-based X-ray detectors brings new precision to both supernova remnant observations and the X-ray search for sterile neutrino dark matter. Current X-ray observations disagree over the potential presence of a 3.5 keV X-ray line consistent with a sterile neutrino interaction, and Micro-X is in a unique position to establish or refute the presence of this line. I will present the construction status of the instrument and expectations for flight observations, with special emphasis given to the prospects of sterile neutrino studies. 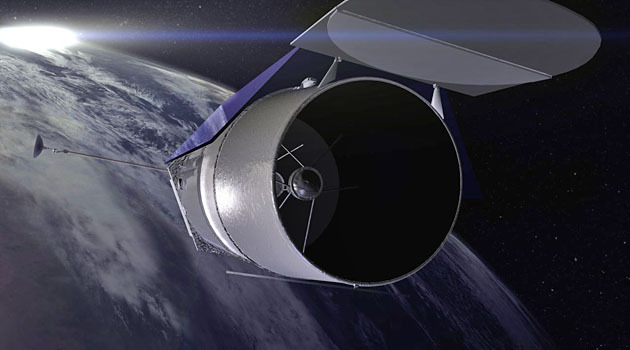 The Wide Field InfraRed Survey Telescope (WFIRST) was the highest ranked large space-based mission of the 2010 New Worlds, New Horizons decadal survey. It is now a NASA mission in formulation with a planned launch in the mid-2020's. 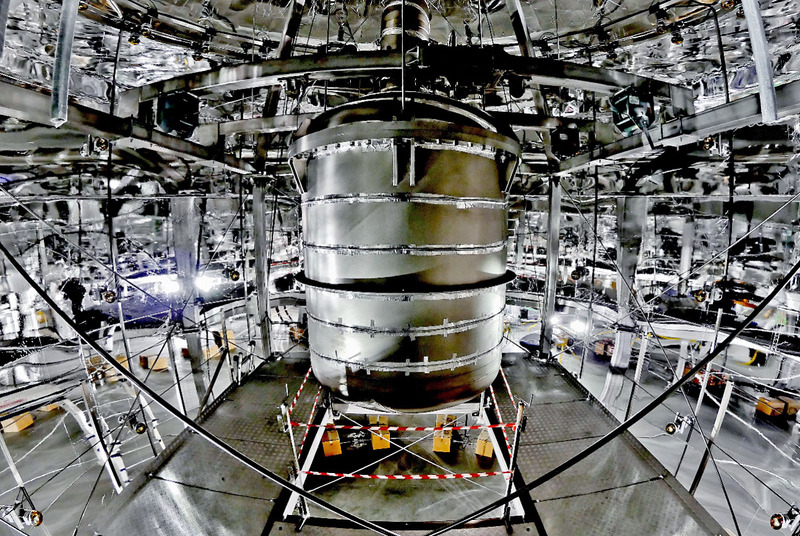 A primary mission objective is to precisely constrain the nature of dark energy through multiple probes, including Type Ia supernovae (SNe Ia). Within this talk I present the first realistic simulations of the WFIRST SN survey based on current hardware specifications and using open-source tools. I will review different survey strategies with varying time allocations between WFIRST's wide-field channel (WFC) imager and integral field channel (IFC) spectrometer, and predict the dark energy task force figure of merit (DETF FoM) for each strategy. Even without improvements to other cosmological probes, the WFIRST SN survey has the potential to increase the FoM by more than an order of magnitude from the current values. 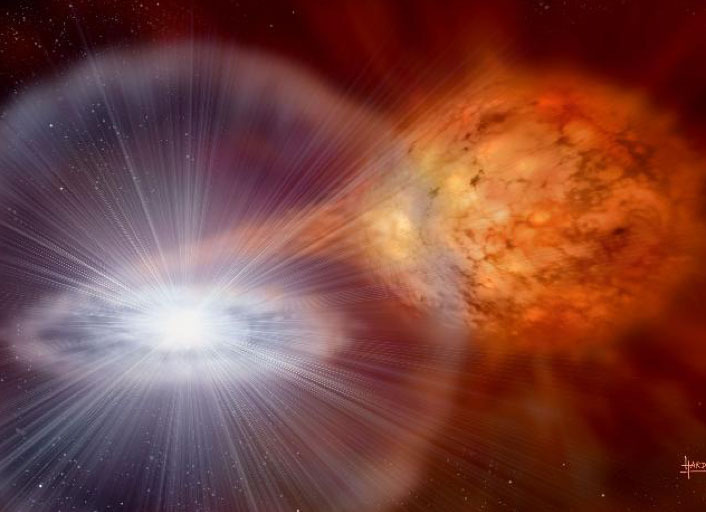 The universe is teeming with very high energy gamma ray sources (> 100 GeV), but it is generally thought that their impact on the universe is minor at best. On energetic grounds, this assumption seems well-founded because the energy density in TeV photons is 0.2% of that of ionizing photons from quasars. However, as I hope to show in this talk, this is not the case. Rather, the greater efficiency by which TeV photons can be converted to heating in the intergalactic medium (IGM) allows TeV blazars dominate the heating of the IGM at low redshift. I will discuss the nature of this conversion via beam instabilities. I will then discuss how the resultant heating from these TeV sources makes dramatic differences for constraints on the intergalactic magnetic field, on the formation of structure, and on the redshift evolution of TeV blazars. I will also discuss how it gives rise to the inverted temperature-density profile of the IGM, the bimodality of galaxy clusters, and the paucity of dwarf galaxies in galactic halos and voids. A long-sought prediction of our most refined approach to early universe cosmology, the inflationary theory, is the existence of primordial gravitational waves. A potential observational signature of these waves are so called "primordial B-modes" in CMB polarization maps. However, local sources such as galactic dust and synchrotron, as well as lensing of the CMB, also produce "B-mode" signals that need to be untangled from the observed signal in order to make precise claims about the early universe. In this talk I will describe a multicomponent likelihood analysis framework for joint analyses of various CMB datasets that takes into account multiple signal types, and its subsequent use for analysis of BICEP2, Keck and Planck CMB polarization data to derive the tightest current constraints, parametrized by the tensor-to-scalar ratio, on primordial B-modes (r<0.07). I will also talk about modifying this likelihood framework into a spectral-based Fisher projection framework that allows using current achieved performances from various CMB experiments to make robust forecasts for future CMB-polarization endeavors. This approach is unique in its implementation of real-life experimental inefficiencies by using actual on-sky performance of BICEP/Keck experiments, which produced leading constraints on r, to scale to future capabilities. This framework allows for rapid iteration on how various experimental configurations affect the underlying science results. It has been extensively used in the context of optimizing survey configurations, and calculating inflation projections for the next generation experiment in the BICEP/Keck series, and the field-wide CMB-Stage 4 endeavor. 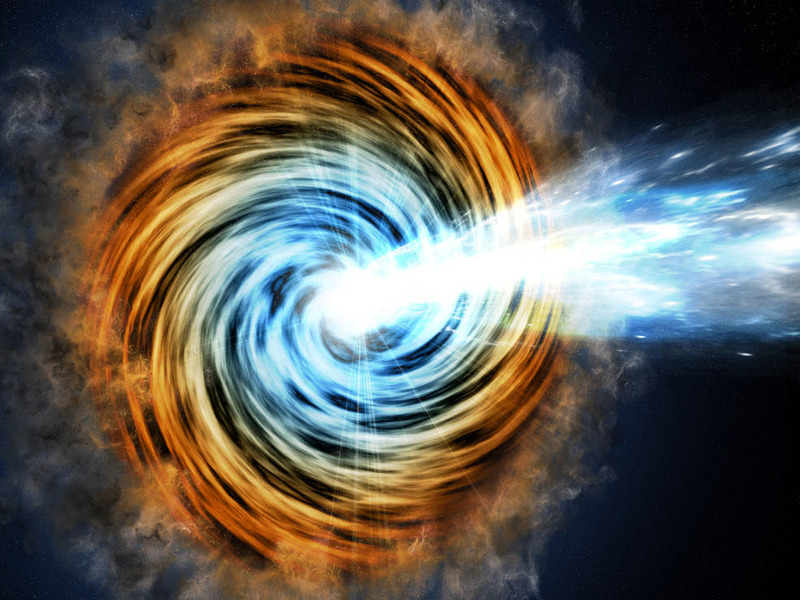 The rise of survey telescopes in the past decade have led to an explosion in the number of supernovae (SNe) discovered and the amount of information available on them. They have revealed an unexpected diversity in the properties of progenitor stars and their environments. Unfortunately, theoretical efforts to explain these have lagged. However, there is a growing urgency for robust theoretical models to inform supernova (SN) observations given the imminent launch of LSST, which threatens to overwhelm current techniques for studying SNe. As a step towards addressing this vacuum, we undertake a comprehensive study of a group of 'partially stripped' SNe, known as Type IIb SNe. These are in need of theoretical interpretation because mechanisms driving significant mass loss in the progenitor stars are an open question. In this talk, I will describe single and binary progenitors of Type IIb SNe and their properties. I will present results for the application of our work to the most recent Type IIb with a detected progenitor, SN 2016gkg. In particular, we derive observational constraints for the progenitors and binary companions of SN 2016gkg that can be verified in the future. 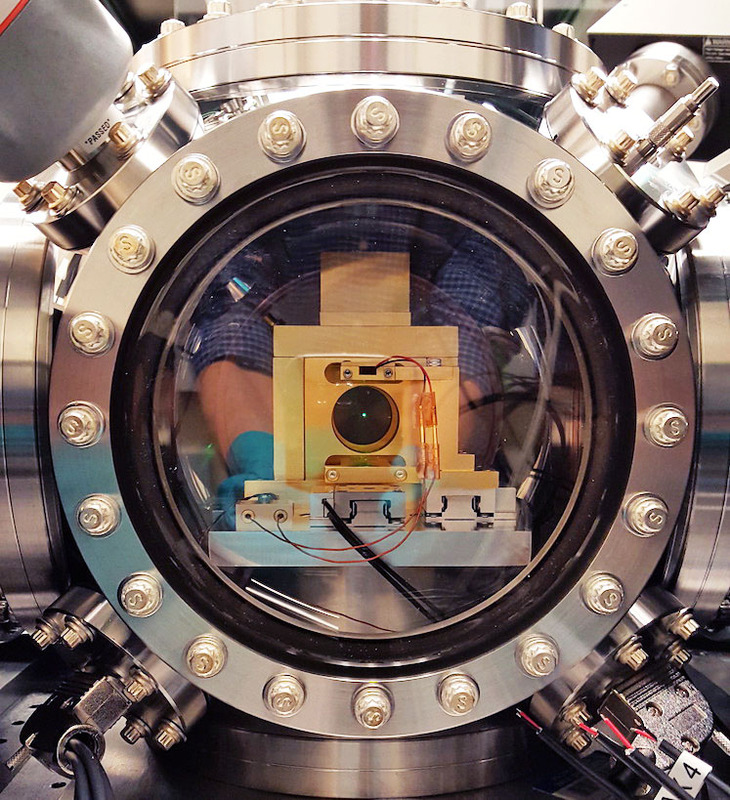 Within the last month, we on the XENON collaboration published our first results from the XENON1T experiment's 34.2 live day run, which is the first ton-scale detector using this world-leading technology of liquid-xenon time-projection chambers. 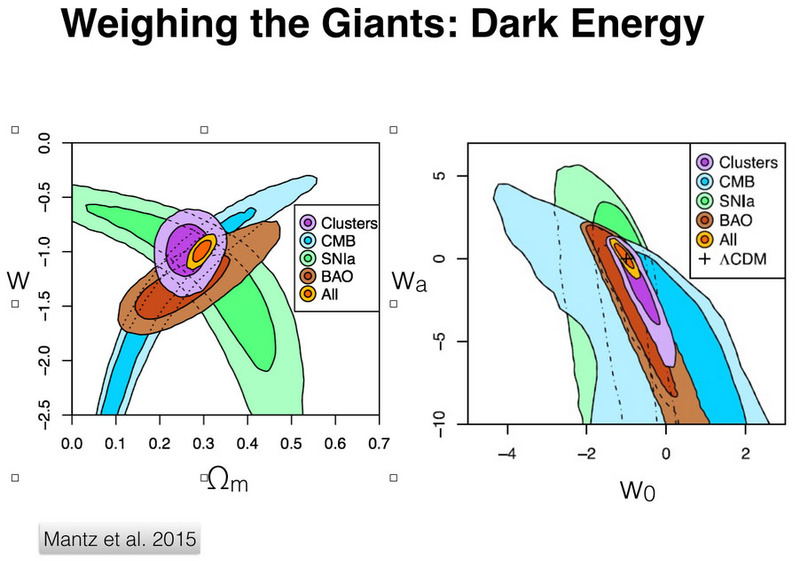 These results do not make any claims of a dark matter signal but rather further weaken the WIMP hypothesis. In these results, which had a large contribution from the KICP XENON group, you can think of there as being a checklist of requirements needed to have strong results like ours in this competitive field. This includes rather physical requirements such as being able to contain ~3000 kg of liquid xenon at cryogenic temperatures, where I will discuss the hardware insomuch as it is of interest to cosmologists. My focus however will be on the analysis we performed, where beyond our WIMP results, we were able to establish that this detector is the quietest on earth (1.93 +/- 0.25) * 10^-4 events/(kg day keV). 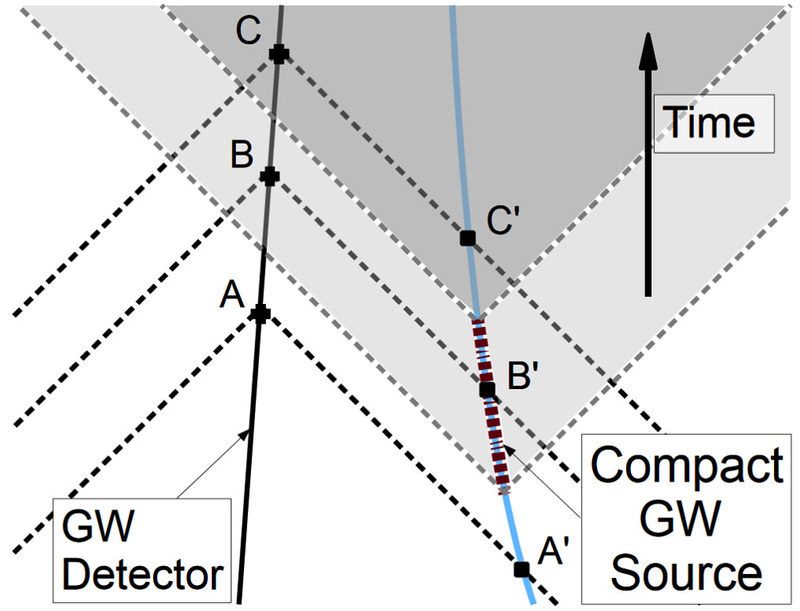 This allows us, when combined with novel calibration and analysis techniques, to set the strongest limits for WIMP masses above 10 GeV, with a minimum of 7.7e-47 cm^2 at 35 GeV. In explaining how we produced these results, the promising prospects for XENON1T in the coming years will become clear. A prediction of axion dark matter models is they can form Bose-Einstein condensates and rigid caustic rings as a halo collapses in the non-linear regime. In this talk, I will present results from the first study of the caustic ring model for the Milky Way halo (Duffy & Sikivie 2008), focusing on observational consequences. I will describe the formalism for calculating the gravitational acceleration of a caustic ring halo. The caustic ring dark matter theory reproduces a roughly logarithmic halo, with large perturbations near the rings. I will show that this halo can reasonably match the known Galactic rotation curve. We explored the effects of dark matter caustic rings on dwarf galaxy tidal disruption with N-body simulations. 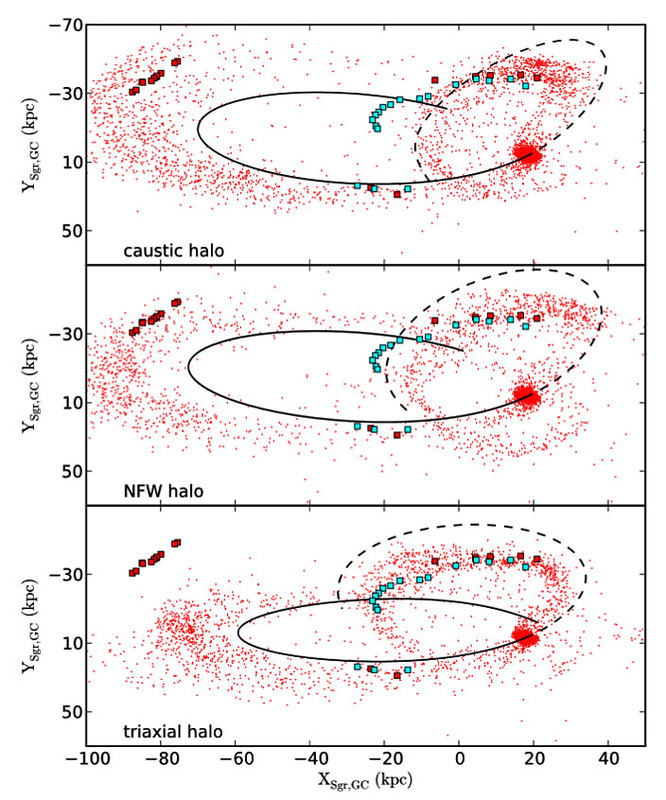 N-body simulations of the Sagittarius (Sgr) dwarf galaxy in a caustic ring halo potential, with disk and bulge parameters that are tuned to match the Galactic rotation curve, match observations of the Sgr trailing tidal tails as far as 90 kpc from the Galactic center. Like the Navarro-Frenk-White (NFW) halo, they are, however, unable to match the leading tidal tail. None of the caustic, NFW, or triaxial logarithmic halos are able to simultaneously match observations of the leading and trailing arms of the Sagittarius stream. I will further show that simulations of dwarf galaxies that move through caustic rings are qualitatively similar to those moving in a logarithmic halo. The next generation of large-scale cosmological surveys, such as LSST, WFIRST and Euclid, aim at answering fundamental questions on the nature of dark energy and dark matter by measuring the weak lensing signal (gravitationally induced deformation of galaxy images) over large areas of the sky. In this talk, I will illustrate how the most recent advances in Machine Learning and Statistical Signal Processing open new perspectives for addressing some of the challenges faced by these new surveys as well as exploiting this wealth of data in new and exciting ways. 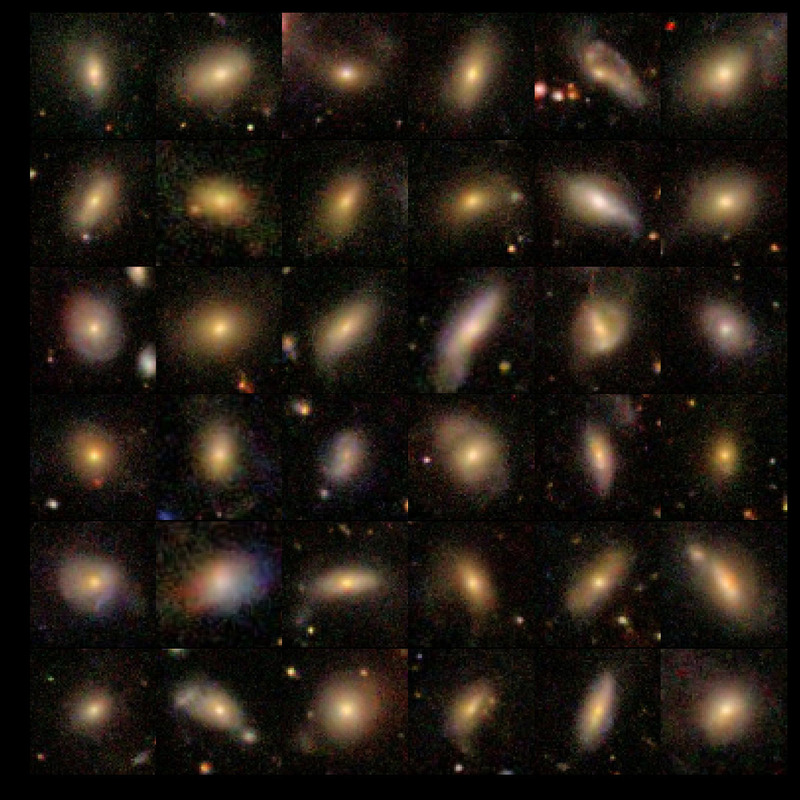 In particular, I will focus on our work with Deep Generative Models in two different settings: simulating realistic galaxy images for shape measurement calibration purposes, and modeling the intrinsic alignment signal (the tendency of galaxies to align with the large scale structure) in hydrodynamical simulations, with the aim of producing realistic mock galaxy catalogs. Both of these applications aim to address some of the main systematics of future wide field lensing surveys. Finally, I will present an application of sparse signal processing which makes possible the reconstruction of high-resolution 3D weak lensing mass maps, with the ability to disentangle structures along the line of sight and resolve individual clusters. I will discuss related aspects of field theories with higher-derivative Lagrangians but second-order equations of motion, with a focus on the Lovelock and Horndeski classes that have found use in modifications to general relativity. In the first half I will discuss how non-perturbative effects, like domain walls and quantum tunneling, are modified in the presence of these kinetic terms. In the second half I will investigate when restricting to such terms is and is not well-justified from an effective field theory perspective. The FFTLog algorithm can be seen as a way to decompose the linear power spectrum onto a basis of complex power-law functions. On the other hand, many important integrals in cosmology that involve power spectra have simple analytical solutions for a power-law universe. In this talk I will show how to combine these two ideas in practice. I will discuss applications to evaluation of the angular power spectrum and bispectrum of arbitrary observables, as well as evaluation of the loop integrals in cosmological perturbation theory of large-scale structure. The sterile neutrino is a warm dark matter candidate with a host of observable signatures that have recently been sensitively tested. I will first review the sterile neutrino before introducing constraints arising from structure formation and high-energy astrophysics. These offer important complementarity in covering the sterile neutrino parameter space and I will highlight some of the recent rapid progress. I will also discuss ways forwards to test whether the 3.5 keV line detected in multiple dark matter concentrations may be arising from sterile neutrino dark matter. Information about the late-time Universe is imprinted on the small scale CMB as photons travel to us from the surface of last scattering. 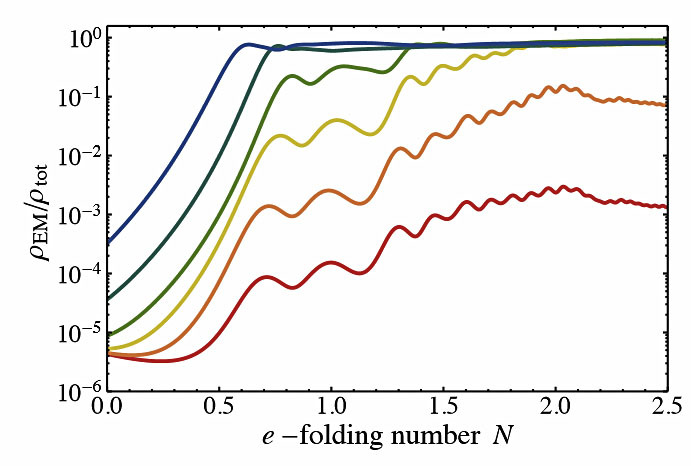 Several processes are at play and small scale fluctuations are very rich and non-Gaussian in nature. I will review some of the most important effects and I will focus on the Sunyaev-Zel'dovich (SZ) effect and gravitational lensing. I will discuss how a combination of measurements can probe velocity fields at cosmological distances, inform us on cluster energetics and feedback processes, and detect the properties of patchy reionization. If time allows, I will describe new approaches to CMB lensing reconstruction on small scales. Hubble constant estimates from measurements of the local distance ladder and the cosmic microwave background (assuming a flat LCDM cosmology) are discrepant at the 2.8 to 3.4-sigma level. 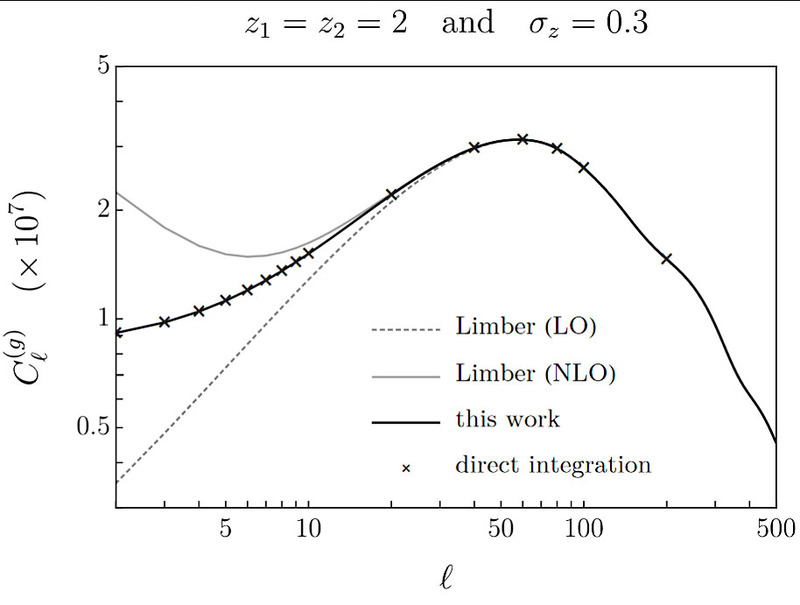 Interpreting this tension correctly requires a model-comparison calculation which depends strongly on the precise tails of the likelihoods in addition to the traditional ''n-sigma'' discrepancy. This model-comparison approach requires evaluation of the full distance-ladder likelihood, as opposed to a Gaussian or least-squares approximation to it. I will discuss our reframing of the distance ladder as a Bayesian Hierarchical Model (BHM), in which the Cepheids and supernovae (SNe) that comprise the ladder are fitted simultaneously and self-consistently. This highly flexible framework incorporates non-Gaussian anchor measurements, marginalizes over all relevant nuisance parameters and allows the use of heavy-tailed intrinsic scatter distributions to obtain robust inferences even in the presence of outliers, without resorting to unstable clipping methods. Using this BHM, I will clarify the Hubble constant tension by comparing LCDM to a model designed to predict the observed discrepancy. If a component of the dark matter has dissipative interactions, it could collapse to form a thin dark disk in our Galaxy coincident with the baryonic disk. It has been suggested that dark disks could explain a variety of observed phenomena, including mass extinction events due to periodic comet impacts. 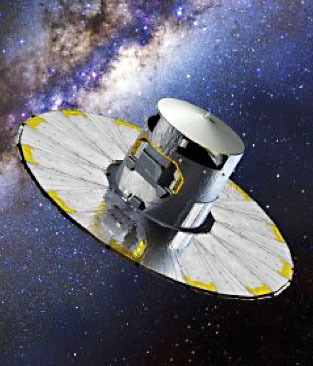 Using the first data release from the Gaia space observatory, I will present the results of a search for a dark disk via its effect on stellar kinematics in the Milky Way. I will discuss our strong new limits that disfavor the presence of a thin dark matter disk and present updated measurements on the total matter density in the solar neighborhood. Infrared Survey Telescope and the Large Synoptic Survey Telescope.